Most people are afraid of spiders and some are afraid of snakes. What if these two joined forces in hunting for food. But one of them is just an illusion. 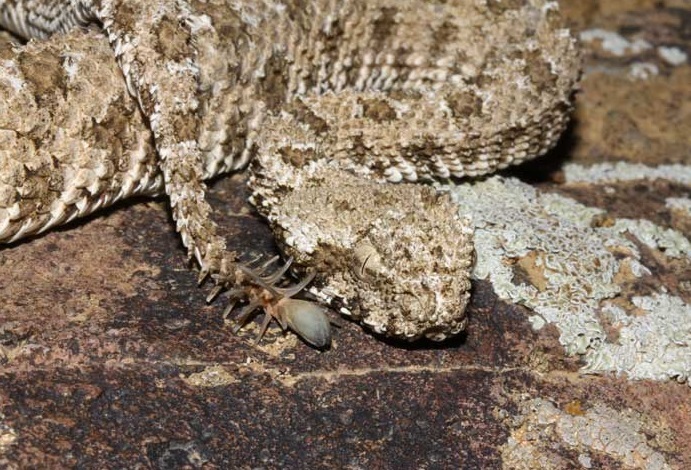 A clever species of viper has a spider-like tail. It mimics how a spider moves and wait for its prey to catch the bait. The snake stays on one place and starts to move its tail like a Spider. 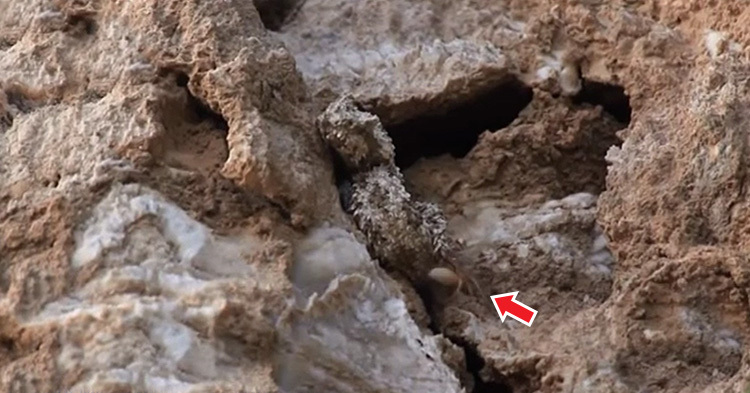 The spider-tailed horned viper (Pseudocerastes urarachnoides) is an endemic to Iran and has a spider-like tail tip. The spider-like tails of the viper. 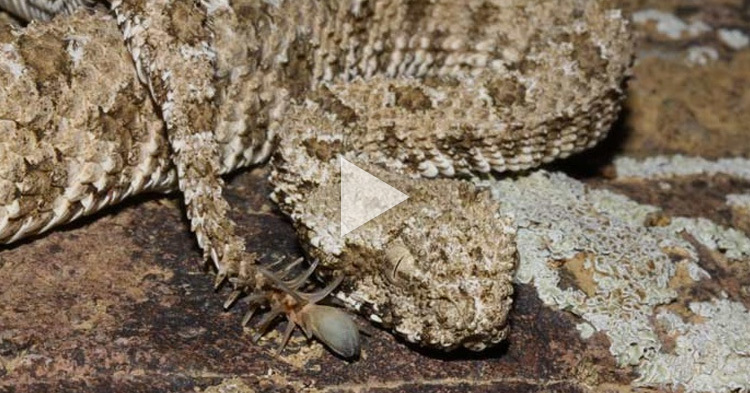 On this video, the viper is doing his spider illusion to catch a bird. 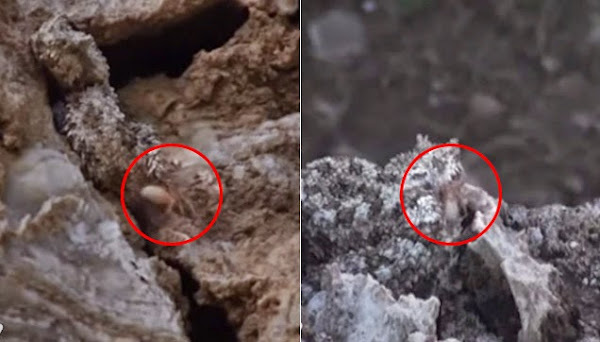 The snake's talent is so precise, that the bird didn't notice that the spider-like figure is fake and the snake is beside it. What can you say about this snake's amazing talent?